I was interested to see mention of Dave Rees Rochdale Mk 2 in the last magazine, PMA 134. It just so happens that the car was out on the Slverstone tarmac once again during the 750MC festival driven by The late Dave rees's wife Jean. I am very familiar with this car which was re-bodied by a good friend of mine Dave Gregson in the mid 1980's, and it just so happens that I am currently custodian of the original Rochdale Mk2 body from PMA 134. 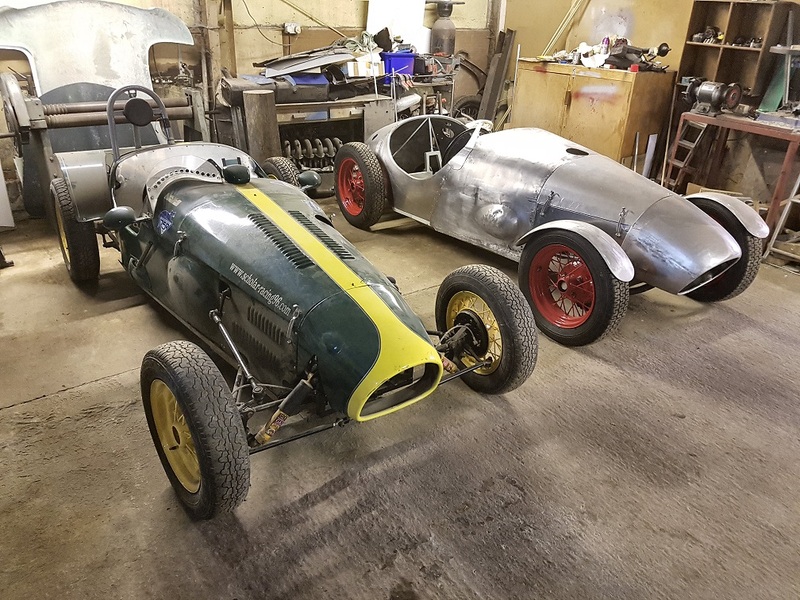 I raced against Jean for a number of years in my own Rochdale Mk2 inspired Austin Seven, which we built many years ago, this car also carries a Gregson body. We are currently getting Mike Faloon's re-creation of the Dave Rees Mk2 ready to take to Manchester for the ROC stand later this week. 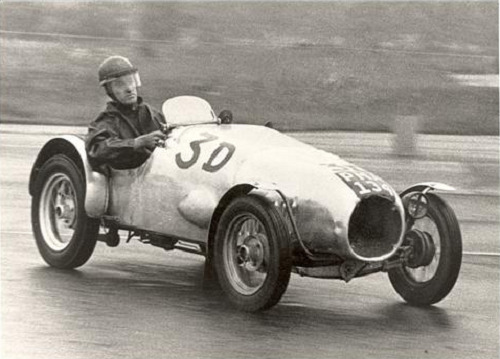 The picture shows the car as it was in the early 1950's with Dave at the wheel. 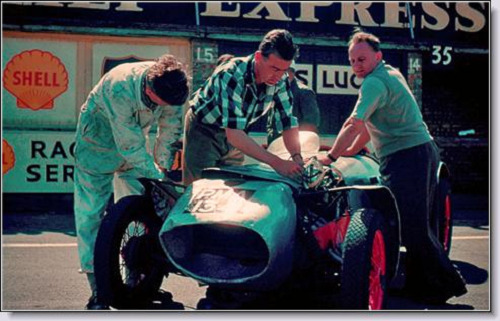 This one is Dave and his brother in the paddock at an unknown venue, again early 1950's. 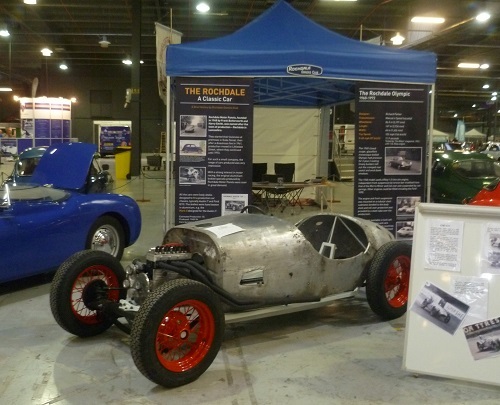 The picture below shows Mike's Rochdale Mk2 bodied Austin Seven special at the Manchester classic car show earlier this month. Also in the picture are Roger's Mk6 (which won classic car weekly best of show) and Les's GT. I have to say congratulations to Roger for his well earned best of show, and well done to Les for organising the stand. It would seem that finaly the Rochdale marque is starting to get the recognition we all know it deserves. I can't believe how long it is since we last posted about this car so here is an update. The picture shows Mike Faloons Mk2 Rochdale having returned from the Manchester show. We are still working on it with a view to getting it out next year. For inspiration we have put it next to my own Mk2 inspired Historic 750 formula race car, I won the 750 trophy in this car in 1996.